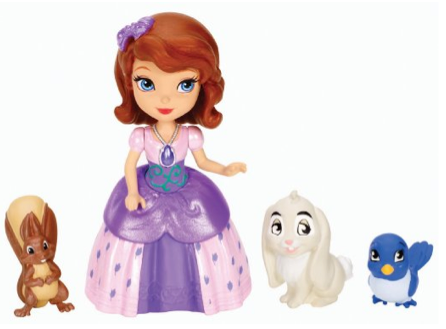 Disney Sofia The First Sofia and Animal Friends Fashion Doll Playset Only $7.49 + FREE Prime Shipping! You are here: Home / Great Deals / Amazon Deals / Disney Sofia The First Sofia and Animal Friends Fashion Doll Playset Only $7.49 + FREE Prime Shipping! Your little princess is sure to love this super cute Disney Sofia The First Sofia and Animal Friends Fashion Doll Playset which is on sale right now for only $7.49 (was $11.99)! Plus, FREE Shipping is available with Amazon Prime or FREE with orders of $35 or more (sign up for a FREE 1 month trial here)!